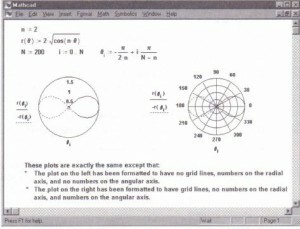 • Choose Graph-e. 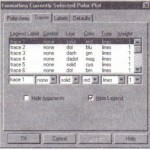 Trace from the Format menu to show the Polar Trace dialog box. • If necessary, reposition the Polar Trace dialog box so that you can see the entire region of the graph. • Drag the mouse along the trace whose coordinates you want to see. 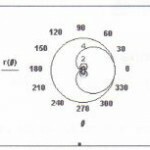 A dotted crosshair jumps from one point to the next as you move the pointer along the trace. 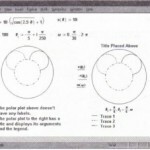 • Use the left and right arrows to move to the previous and next data points. Use the up and down arrows to move to other traces. 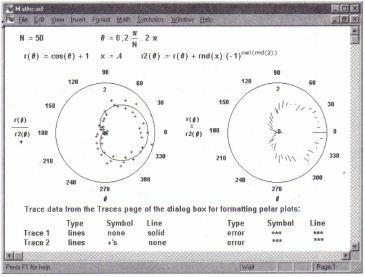 • As the pointer reaches each point on the trace, Mathcad displays the coordinates of the pointer location in the Radius and Angle boxes. 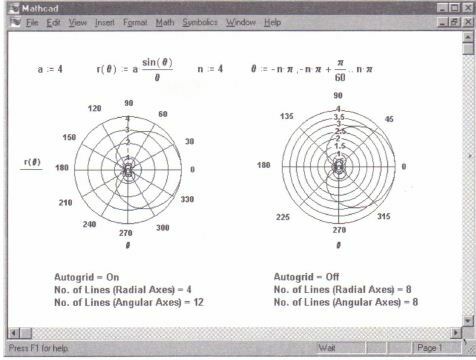 • When you release the mouse button, the radius and angle settings of the last point selected are shown in the Radius and Angle boxes. 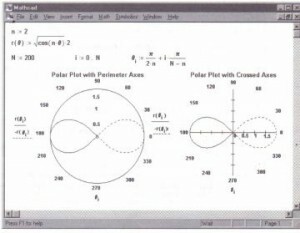 The crosshair remains until you click outside the polar plot. • Double-click on the control box in the upper-left-hand comer to close the Polar Trace dialog box. The crosshair will remain on your plot until you click anywhere outside it. 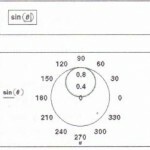 • Click “Copy Radius” or “Copy Angle”. 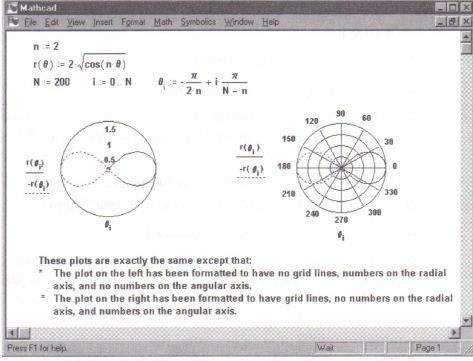 • You can then paste that value into either a math or text region of your Mathcad worksheet, into a spreadsheet, or into any other application that allows pasting from the clipboard. • Follow the above procedures to call up the Polar Trace dialog box. 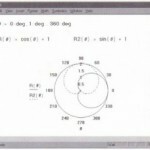 • In the polar plot region, click and drag the mouse pointer over the points whose coordinates you want to see. A dotted crosshair follows the pointer as you drag it over the plot. 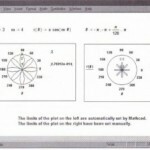 Mathcad displays the coordinates of the pointer in the Radius and Angle boxes. The radius and angle values change continuously to reflect the current pointer position. 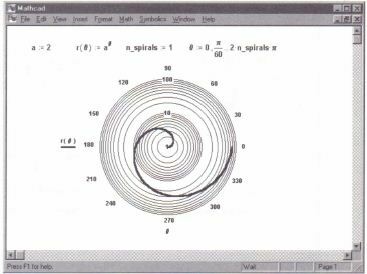 • When you release the mouse button, the Radius and Angle boxes show the rand values of the last pixel selected. 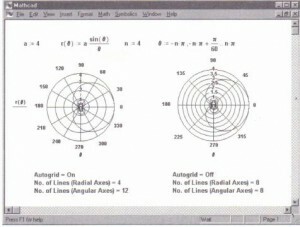 Using Auto Grid on the same polar plot. Presenting the same plot formatted as lines and symbols and then as error bars.